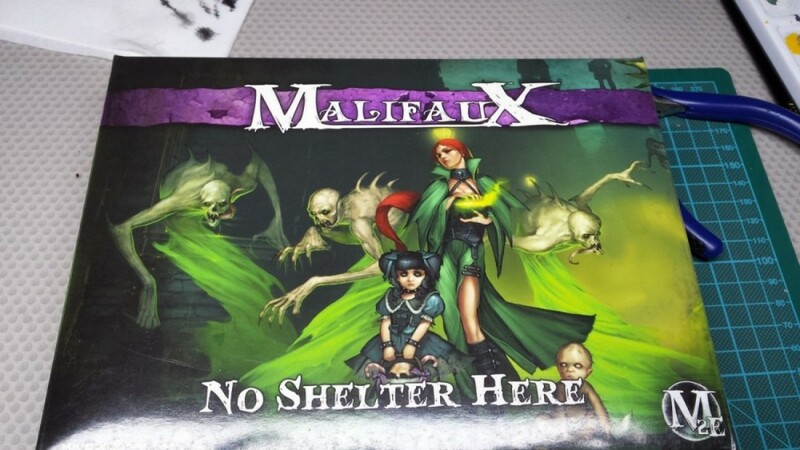 I recently picked up the “No Shelter Here” Malifaux crew box featuring Pandora, Baby Kade, Candy, a Poltergeist and three Sorrows. The quality of the cast was outstanding. 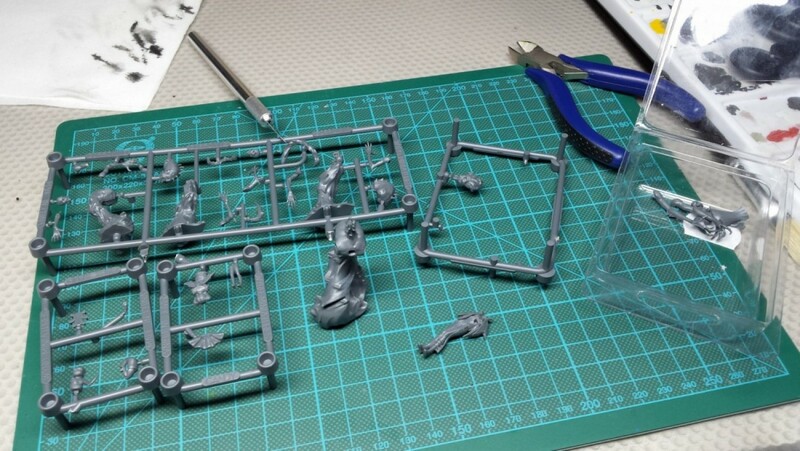 This being my first plastic kit from Wyrd that I lay my hands on, I’m impressed. I have painted some metal crew boxes from the 1st edition Malifaux and I can say that the quality of the models is anything than disappointing. Not that there were anything wrong with the white metal models Wyrd used to produce… I must be honest, I have not read the M2E rules or even played a M2E game. I’m also not sure about the stats and strategies of these models, I chose them only by the box art, which is awesome. I thought I would make a WIP series and post the progress of prepping, basing and painting this crew. 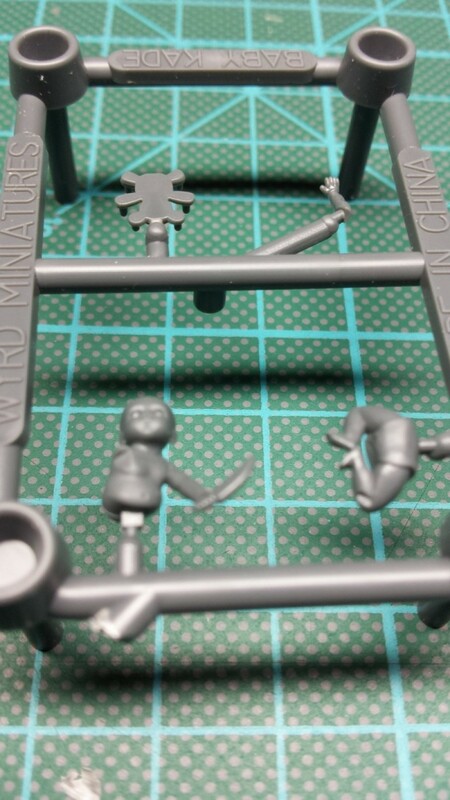 I already begun cutting them of their sprue and cleaning them from mold lines, the models being plastic, this job is quite easy. As you can see I already removed both Pandora and (most of) the Poltergeist from the sprue. 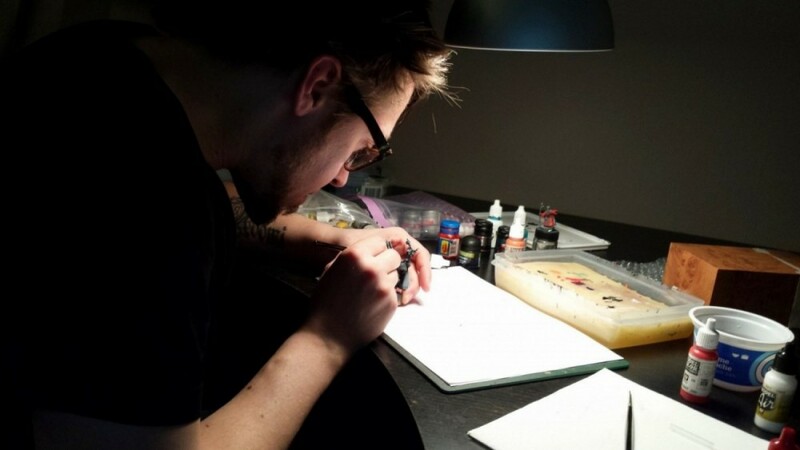 Candy, Baby Kade and the Sorrows (…sounds like a band name…) are still attached to sprue. Here is a closeup of Pandora, not yet assembled. 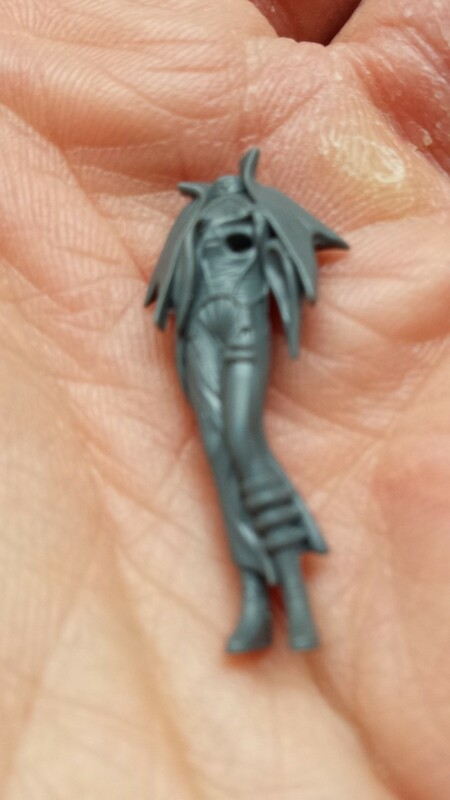 Although the image is a bit blurry (sorry) you can see the scale and the details. Another closeup, this one of Baby Kade, this one is really, really tiny! It will be a challange for me to paint. And last but not least, A BONUS PIC (for all you fan-girls out there)! Tomorrow I will try to get to the local hobby store and stock up on some stuff so that I can get started on the bases for this crew, I was thinking of going with some kind of graveyard theme. Let’s see how that turns out in a future post. Until next time, keep it safe!